The Eagles Baseball Association teams are trained and coached by the staff of Professional Baseball Instruction. Each coach has undergone an in-house training and certification process designed to develop Eagles as ball players and individuals. Steve Hayward’s reputation as one of the best pitching coaches in New Jersey is well-deserved. The former Boston Red Sox farmhand was drafted after his dominating 1993 college season at Seton Hall when he achieved Big East MVP honors. He has coached at Don Bosco Prep in Ramsey and St. Joseph’s in Montvale. Steve’s unmatched desire to motivate kids is genuine. He’s the founder of the Baseball Health Network and also Professional Baseball Instruction’s College Recruiting Director. Kurt Hommen excelled on the diamond at St. Cecilia High School in Englewood and played at the collegiate level at Ramapo College in Mahwah. He continued his playing career in the well-known Met League and was inducted into the League’s Hall of Fame in 2000. Following a 20-year career as the head baseball coach at Tenafly High School, Kurt took over the reins at Ridgewood High School in 2010. 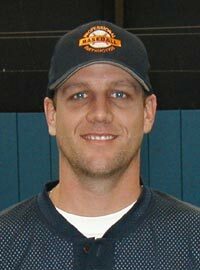 Jack began his career at River Dell High School where he threw a no-hitter in his first varsity start in 2005. Following his All-League career at River Dell, Jack went on to become a main-stay in the rotation at Rutgers-Newark before transferring to the University of Redlands in Southern California where he set records for both saves and appearances in a single season. Jack also pitched for the Cheyenne Grizzlies of the Mountain Collegiate Baseball League where he was a league all-star in 2009 and 2010 and set single-season league records for both saves and appearances. After his collegiate career, Jack appeared in the California Winter League where he was signed by the White Sands Pupfish of the Pecos League to be the team’s closer; he was later traded to the Alpine Cowboys to help solidify their bullpen. In 2012 Jack signed with the Santa Fe Fuego, also of the Pecos League, and was used as both a starter and a middle-reliever. 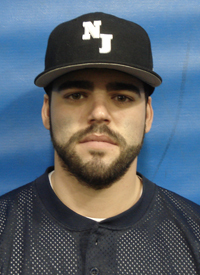 A native of Oradell NJ, Jack served as the varsity pitching coach at River Dell High School from 2011-2013. In those three years as River Dell’s pitching coach Jack guided the staff to a team ERA of 3.35 in addition to two no-hitters. In 2015 he was the freshman baseball coach at Mahwah High School where he guided the Thunderbirds to a 14-4 record. 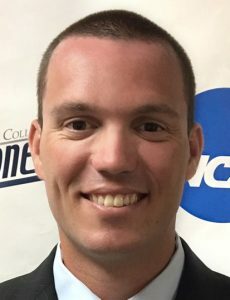 Currently he is the pitching coach at Centenary University where in 2016 his pitching staff led the Colonial States Athletic Conference in lowest ERA and WHIP, most shutouts recorded, and least amount of walks, hits, and home runs allowed. In addition, the staff’s ERA of 3.60 ranks #1 on record at Centenary University. In the summer of 2017, Jack will serve as the head coach of the Chillicothe Mudcats of the MINK Collegiate Baseball League. He is also an active coach in the Eagles Baseball Association travel program. Well-known for his 19 years with legendary WNEW-FM in New York City, Jim has over 25 years of experience coaching and playing baseball. He had a free-agent tryout with the Yankees in the mid-1980’s and spent two years in baseball management in the front office of the Newark Bears. Jim coached the Don Bosco Prep freshman baseball team to back-to-back Bergen County championships for the first time in the school’s history. Jim has coached Eagles teams from 9U to the high school level and fall league teams for both Ridgewood and Madison High Schools. Terence has loved the game of baseball since Little League. His pitching career took off at Saint Joseph’s Regional High School in Montvale where he was awarded 1st Team All-County and 1st Team All-State Parochial honors. Upon graduation he signed with Iona College’s Division 1 baseball team. Terence graduated college with a special education background and is a certified teacher in New York and New Jersey. Terence enjoyed returning to his high school alma mater as one of the pitching coaches and later accepted the JV coaching position there for 3 years. His team had one incredible undefeated season and won the Don Bosco JV Invitational 2 out of 3 years. Terence’s passion for baseball and teaching allows him to provide baseball instruction to players by adapting to individualized learning styles. Bobby’s enthusiasm for baseball and teaching kids how to play are obvious from the moment you meet him! A former 1st Team All League pitcher while at Indian Hills High School, Bobby also pitched at the collegiate level for Morris County College and attended tryout camps with the Florida Marlins and the Chicago White Sox. 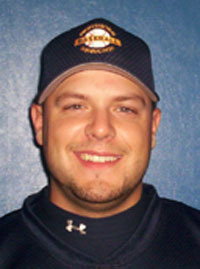 Adam Derner joined the PBI coaching ranks in 2013. Originally from River Edge NJ, Adam played at River Dell High School where he set school records in batting average, runs batted in, and slugging percentage during his senior year. His career continued at the collegiate level at the University of Rhode Island and William Paterson University. As a senior with the Pioneers, Adam hit .413 with a .804 slugging percentage, 115 total bases, 62 RBI and 13 home runs. He also led the Eastern College Athletic Conference (ECAC) in slugging percentage, total bases, RBI and home runs. Adam was named to the 2012 American Baseball Coaches Association (ABCA)Rawlings Division III All-America first team and was also selected as a D3baseball.com first team All-American. Adam played professionally in 2013 for the Normal Cornbelters of the Frontier League. Wayne Richardson was a PBI student as a youngster and through his college career, so he knows the “PBI Way” not only as a coach, but also from the perspective of a PBI student. Wayne is a graduate of Wallington HS where he received All County and All League recognition. In 2005 Wayne was a silver medalist representing the USA in the People To People World Games. Wayne finished his senior season at Nyack College in 2012 where he was the team captain, a 4 year starter, and amassed over 200 career innings pitched. He led Nyack in innings pitched, most complete games, most saves, was ranked nationally for fewest walks per game, and lead the NCAA Central Atlantic Collegiate Conference in percentage of innings pitched of games played per team. While at Nyack he also received NCAA All East Region and All Conference honors. 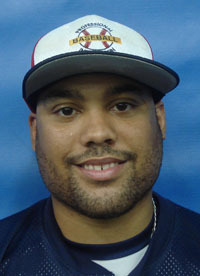 Wayne also played for PBI’s North Jersey Eagles franchise in the professional prospect Atlantic Collegiate Baseball League in 2009 & 2010. 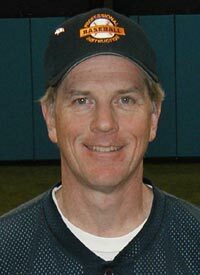 Brian Casey brings a wealth of baseball knowledge and experience to his role as general manager of our higher level Eagles Baseball teams at the 16U and 17Us. Following his playing days at Bergen Catholic High School and Seton Hall University, Brian joined the coaching ranks in Palisades Park (10 years) and Paramus (12 years). The Paramus Summer Tournament bears his name in honor of his time and commitment to youth baseball. Brian is not only the GM of our North Jersey Eagles summer college team, but he’s also the vice president of the Atlantic Collegiate Baseball League the team plays in. 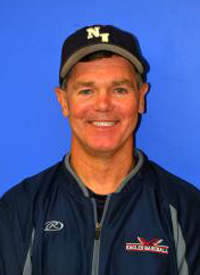 Under his direction, the Eagles won the ACBL championship in 2012 and 2013.